For crisp, crystal clear prints it is hard to beat the HP Z3200 Photo. In due course your HP Z3200 Photo will use all of your printer ink, and when it finally happens you'll soon come to realise that buying HP Z3200 Photo ink tends to be pricey. Fortunately you have no reason to waste your time worrying about forking out the high asking prices you'll find on the high street because now at Cartridge Save you can purchase all the HP Z 3200 Photo cartridges you will want at really competitive prices. Spend less cash on your ink by shopping with Cartridge Save! Why spend more to buy the Z-3200 Photo original cartridge or Z3200 Photo compatible ink in the high street when it is much more straight forward to save your hard earned cash shopping online with Cartridge Save. Get total satisfaction by ordering your Designjet Z3200 Photo ink cartridges from us because everything is guaranteed by a no quibbles money back guarantee. Bear in mind the fact that every single order comes with free delivery, typically delivered to your doorstep next day! 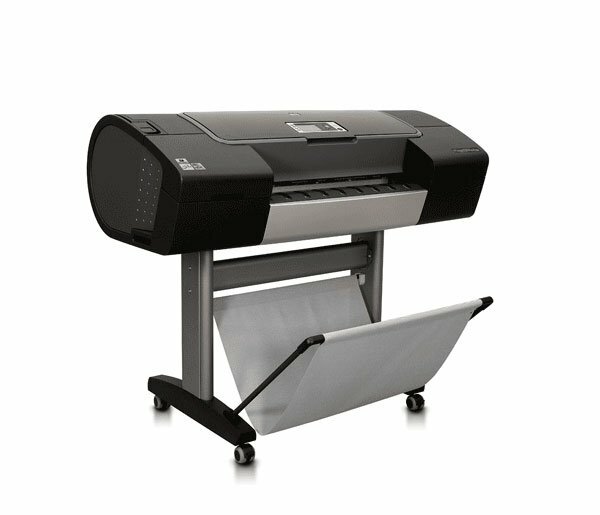 The HP Designjet Z3200 Photo is an impressive large format printer intended for printing long-lasting and great quality prints. It uses HP 73 chromatic red ink and has 12 ink cartridges to ensure top quality prints. It offers great ink efficiency and has an embedded spectrophotometer. Consumables are a bit pricey and the HP Designjet Z3200 Photo has a large asking price. This unit has a standard 256 MB and an 80 GB hard disk. Print resolution can go as high as 2400 x 1200 dpi and prints D on draft mode as fast as 2 pages per minute. For document finishing, the HP Designjet Z3200 Photo has an automatic cutter, roll feed and sheet feed. This printer can handle thick media and can continuously print up to 300 ft. This unit weighs 143 lbs and measures 49.7 x 27.2 x 41.2 inches. With the HP Designjet Z3200 Photo, users will expect gallery-quality output thanks to the Designjet Z3200 Photo's 12-ink system. This large-format HP printer is easy to use and install for its size and delivers output quite fast. The HP Z3200 printer can handle a wide range of media including fabric or textile, film, banners, and self-adhesive. Both Macintosh and Windows users will be able to use the printer and fast Ethernet is also available. Quality inket printers don't come cheap these days so expect to shell out a hefty sum for the HP Designjet Z3200 Photo inkjet printer. The Designjet Z3200 Photo could have been made even better if it had standard Wi-Fi.